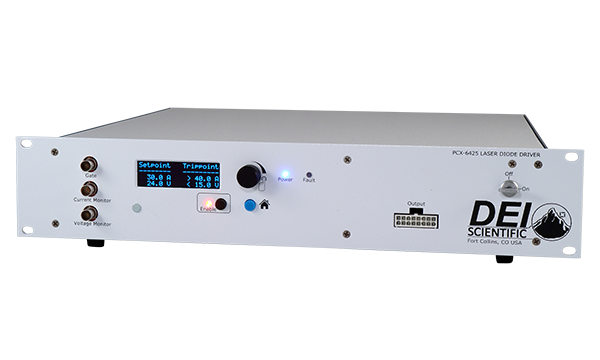 The PCX-6425 is an air cooled, high power pulsed current source designed to drive laser diodes, bars, and arrays. The output current can be set from 1 A to 150 A. The load voltage can be set from 0 V to 120 V. The pulse width is adjustable from 100 μs to 5,000 μs with a frequency range from single shot to 100 Hz. The PCX-6425 output current and output voltage are set with the encoder on the front of the system. The display allows the user to view all settings on the home screen, including the current output, voltage output, current trip point, and voltage trip point. The pulse width and frequency is controlled via the front panel BNC Gate connection. The PCX-6425 system also has the ability to set the current trip point and the voltage trip point. 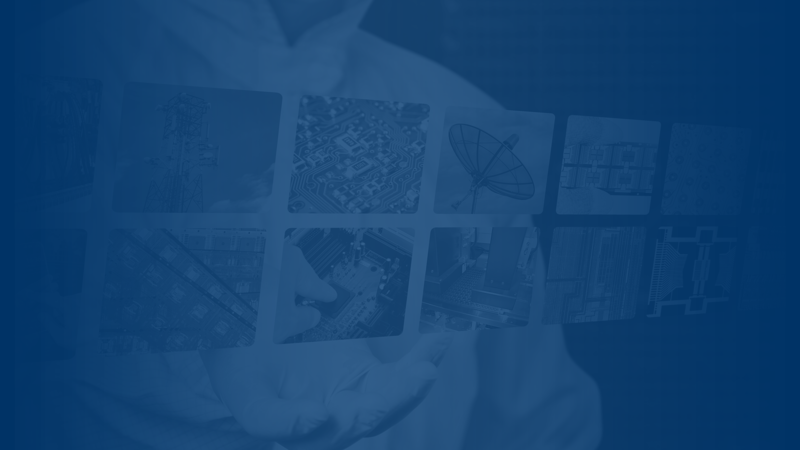 The user should ensure the instrument is never operated outside of the SOA curves (see the PCX-6425 datasheet and operation manual for SOA curves). For automated applications, complete control of the instrument is provided through a Serial interface or a USB interface. The connections are on the rear of the instrument. The laser diode is connected to the front panel of the PCX-6425 through a low impedance twisted pair cable designed to preserve the fidelity of high-speed current pulses. A conveniently-located front panel BNC connector allow the PCX-6425 to be externally triggered. The impedance of the trigger input is 50 Ω. The current monitor and voltage monitor are also located on the front panel utilizing a BNC connector for each. 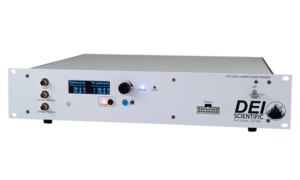 The PCX-6425 is designed to drive laser diodes, bars and arrays with voltage drops up to 120 V and output current up to 150 A in research, laboratory, scientific and industrial applications. 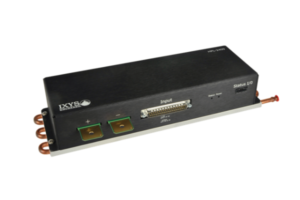 The PCX-6425 includes the laser diode driver system and one output cable.